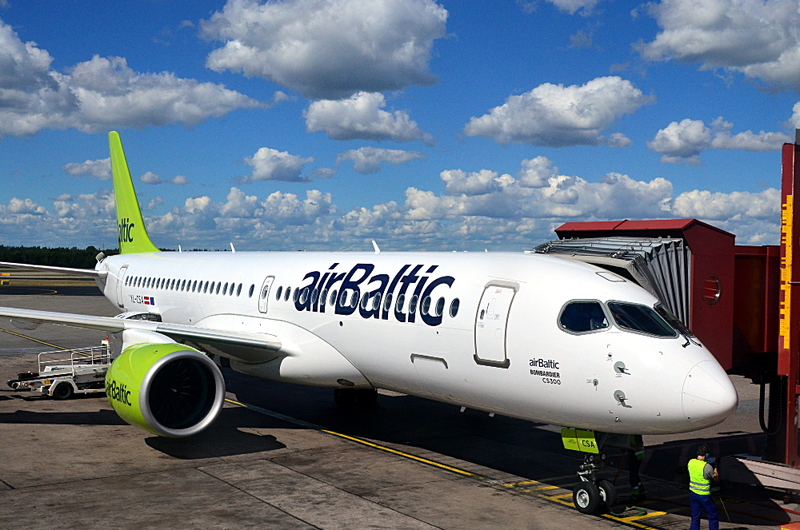 So far, Air Baltic is the only airline to fly the Bombardier CS300. This is YL-CSA, the first C-series 300, which was delivered to Air Baltic in November 2016. It is parked at Arlanda’s gate 7, awaiting departure to Riga.